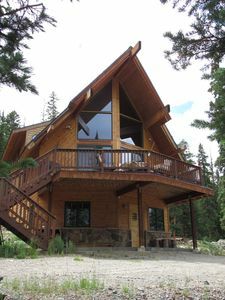 Lunar View Lodge- Entertainment in the Mountains, Media Room and Hot Tub too! 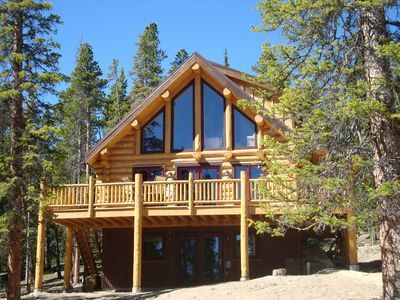 Lunar View Lodge is in the heart of the Rocky Mountains. 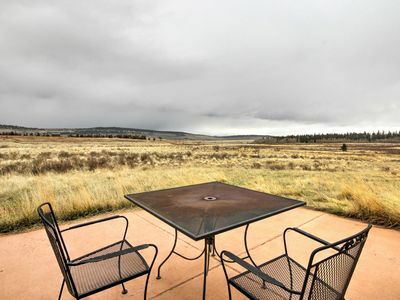 It has every amenity you can imagine to enjoy yourself inside and outside. 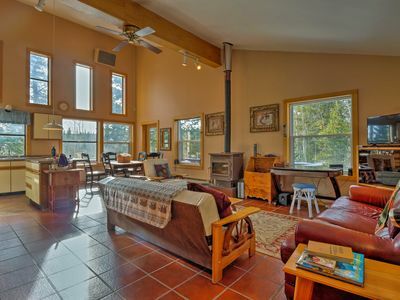 The great room has floor to ceiling windows that span both upstairs and downstairs to enjoy the mountain views. You can play your music on the surround sound stereo or connect to the installed system and stream music. The Game room comes equipped with a Pool Table and theater room. 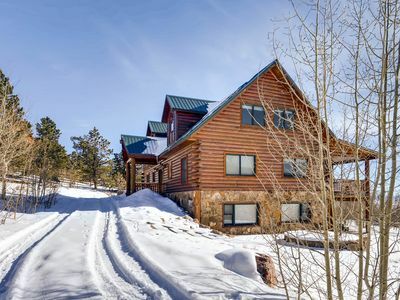 You can ski or hike all day, and relax at night with a movie or a soak in the gorgeous hot tub. When it is rainy or cold outside, you have lots of indoor entertainment options. 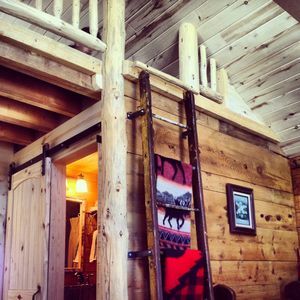 Lunar View Lodge has 3 spacious private bedrooms. The master suite which is located on the main level, is magnificent. It has a king size bed, a large flat screen TV with Satellite and speakers with a Blue Ray player.The bed has luxurious new linens and lots of storage room in the dressers and closet. A second bedroom is located on the main level which, has a full size bed and is cozy and intimate with the same luxurious linens, with plenty of dresser and closet space. The third bedroom is on the lower level. This room also has a queen size bed with new linens and a smart television with Satellite programming and speakers. The game room has a Queen Sofa Sleeper. There is a full size bath on this level as well. There is also a roll-out twin bed in the closet to use. All of the beds will be made upon your arrival and towels are provided. 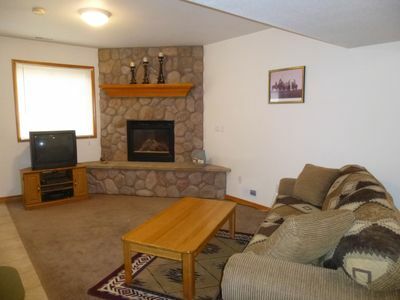 The living room is a large open room with a vaulted ceiling, two comfortable couches and an easy chair. 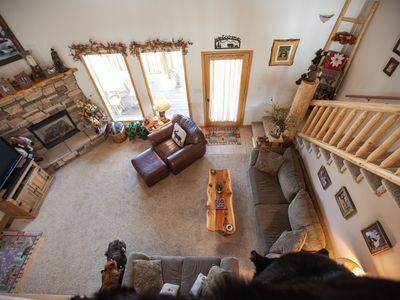 You can enjoy the floor to ceiling views from the two-story windows. The new flat screen TV has a Blue Ray player and Satellite Programming. You can also connect to your Netflix account to watch movies. The telescope can be used inside or out on the deck. Please place it inside when you finish using it. The home has a full size kitchen with everything you will need to cook your favorite meals. 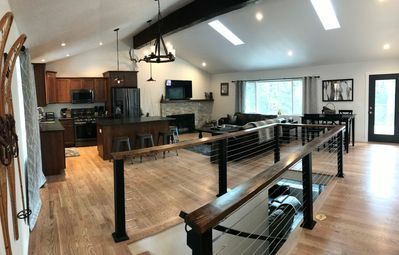 It is open to the dining area and the living room so that you can chat with your friends and family while cooking an amazing meal. The dining table seats 8 people with 2 more at the kitchen island. All the necessary cooking utensils and dishes are provided. There is a laundry room with a full size front loading washer and dryer downstairs. There is a recreation / billiards room on the lower level with a new full-size pool table and 1/2 kitchen bar with its own sink, microwave, and refrigerator. This recreation room also houses the Theater Center with a projection television and large drop down screen. You can watch Satellite television, bring some Blue Ray discs, or hook up to your Netflix account to have a surround sound movie experience with the Sonos System that was professionally installed. Outside under the deck, there is a large hot tub. 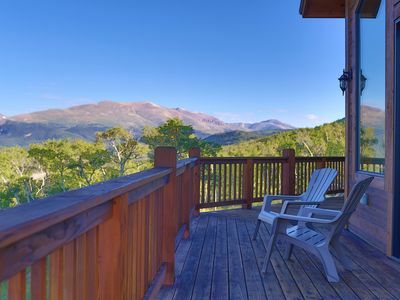 You can still enjoy the magnificent views of the mountains, forest, and stars while being covered from the snow or rain. Whether you choose to relax on the deck or in the hot tub, you will have your music available from the speakers above and by the hot tub. The upper deck has fabulous outdoor seating and a new gas grill. You can bring the telescope out to watch the night sky or gaze up close at the wildlife and the beautiful mountain views. 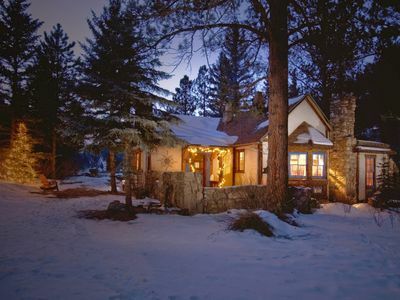 The home is surrounded by pine and spruce trees. 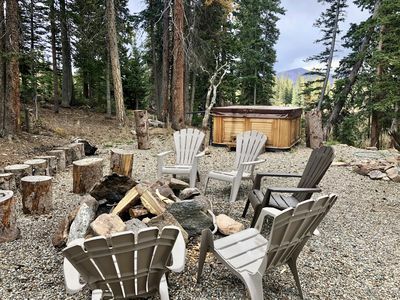 There is a fire pit close to the home where you can make S'mores and enjoy a true mountain experience. 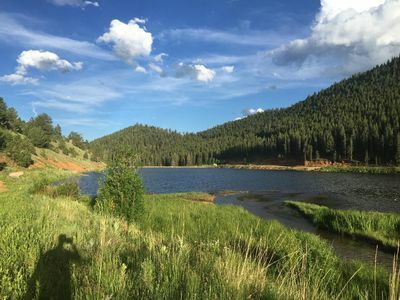 You can hike around the property or take a leisurely walk up the mountain roads to National Forest which offers great outdoor hiking trails. If you are fortunate enough to come in the winter, there is world class skiing and boarding at Breckenridge, Keystone, and A-Basin. 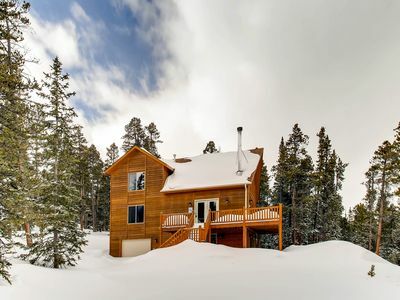 Breckenridge is a short 20 mile drive (about 20 to 30 minutes depending on road conditions) from the home. 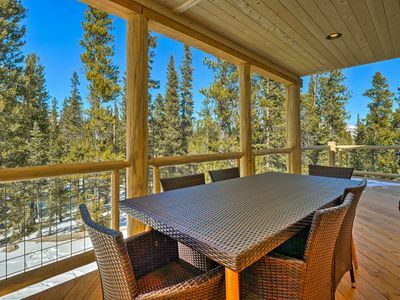 Breckenridge has fabulous shopping and restaurants too. 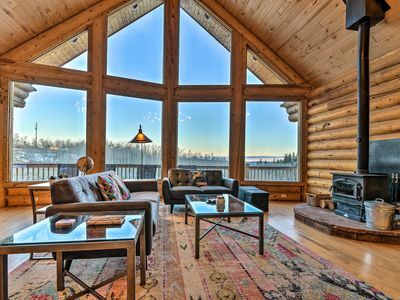 You can leave early and ski or board all day and be back at the home for an evening bonfire and relaxing hot tub experience. 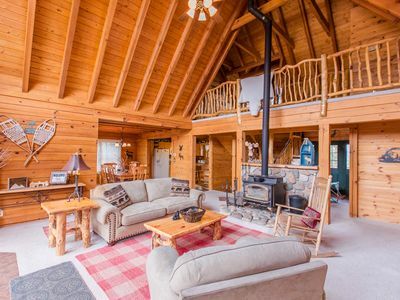 THE FAIRPLAY CHALET - 10% off bookings for dates 3/15-5/24. 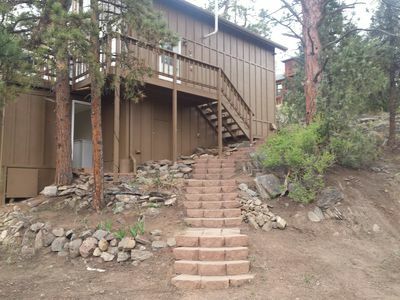 Private Fairplay Home w/Patio By Hiking & Fishing! Cozy In-Town Peaceful Studio, WITH PRIVATE ENTRANCE! 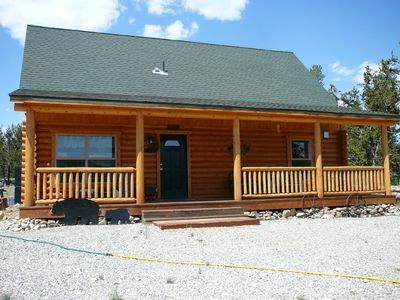 Secluded, Pet-Friendly Fairplay Cabin w/Mtn Views! 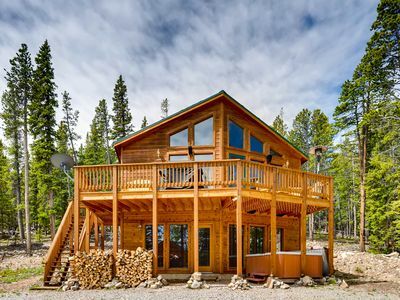 Fairplay Mountain House w/Wraparound Deck & Grill! Outdoor Enthusiasts Dream. 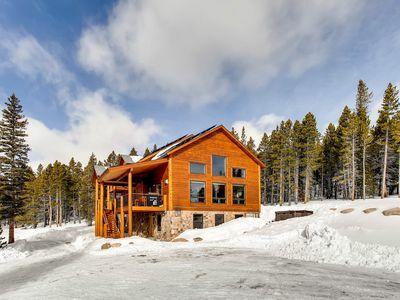 Secluded, but just minutes from Breckenridge.